Our Kindergarten is divided into 5 groups in which the development stage of each individual child is taken into consideration. 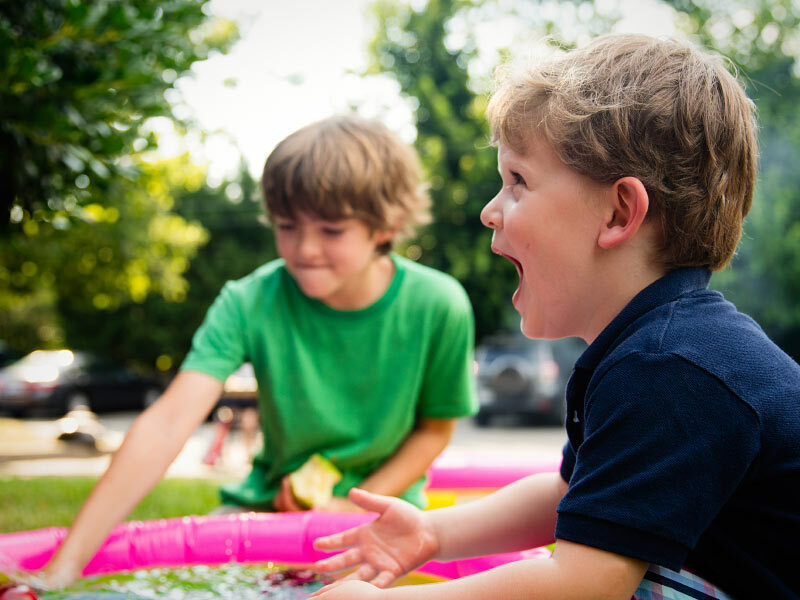 Children are introduced to the English language in a playful and variable way. By interacting with our Native Speakers they are able to learn the language in a natural and unstrained way. The first year of Kindergarten offers a different and new environment in which children are able to make their own valuable experiences. However, it is important to us to keep in mind your child’s need and familiar rituals. 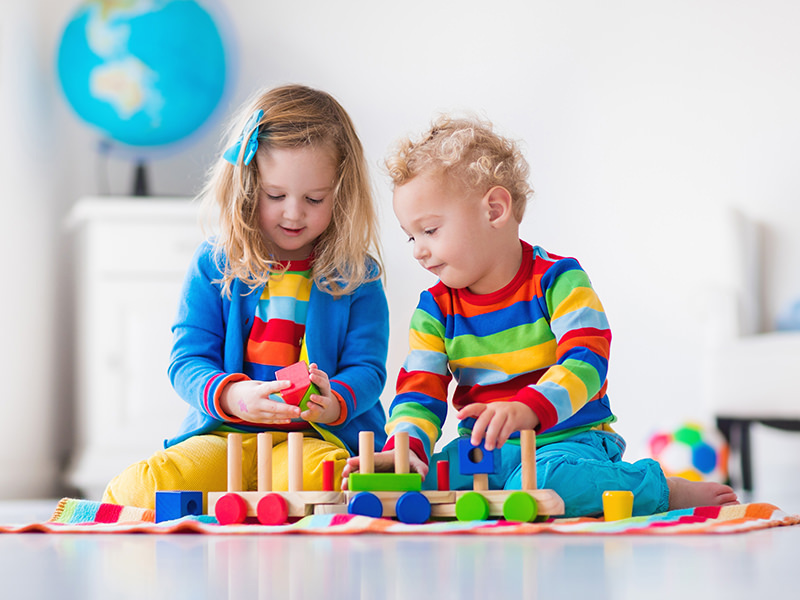 During this time children will develop their social skills and a structured daily routine that should help them feel oriented and secure. Because your child’s independence is growing and getting stronger we pay special attention to giving your children tasks throughout the day to give them a sense of responsibility. Both German and English are spoken throughout the day. In the last year of Kindergarten, the children are being prepared for a successful transition into School. English is the main language that is spoken in Advanced. During our weekly pre-school lessons we specifically focus on the children’s skills and abilities. Our strongly oriented work leads to their positive learning experiences. In each group there are 2-3 teachers or native speakers. All teachers speak fluent English. The Morning Team Group became a part of the Playschool family in 2009. The group is considered a “family group” due to the mixed ages. Each age group is individually challenged with tasks and lessons that correspond to their age level. The younger children in the group show ambition, endurance, and independence by imitating the older children. On the other hand, the older children learn to take responsibility; they are able to strengthen their self-confidence as well as their team spirit. The Afternoon Team Group is a “family group” due to the mixed ages. This group is open Monday – Thursday from 12:00-17:00 for children from the age of 2.5 – 8 years old. Each age group is individually challenged with tasks and lessons that correspond to their age and development level, this is done in small groups. We recommend attending this group 4 times a week; however it is also possible to visit on specific days or only for a few hours, if there is space available. This offer is considered for younger children as well as families visiting from different countries. Our “family groups” Morning Team Group and Afternoon Team Group provide the children with enough time and space for them to develop their individuality. The younger children in the group show ambition, endurance, and independence by imitating the older children. On the other hand, the older children learn to take responsibility; they are able to strengthen their self-confidence as well as their team spirit. Once a week we offer Conversation Club, for 6-10 year olds. Our playschool method continues to be used for our elementary school kids. English is learned playfully and the vocabulary is expanded through writing, speaking, grammar, and through reading English books. Furthermore, friendships that were made during kindergarten can be maintained. This is an important asset for your child’s school career! 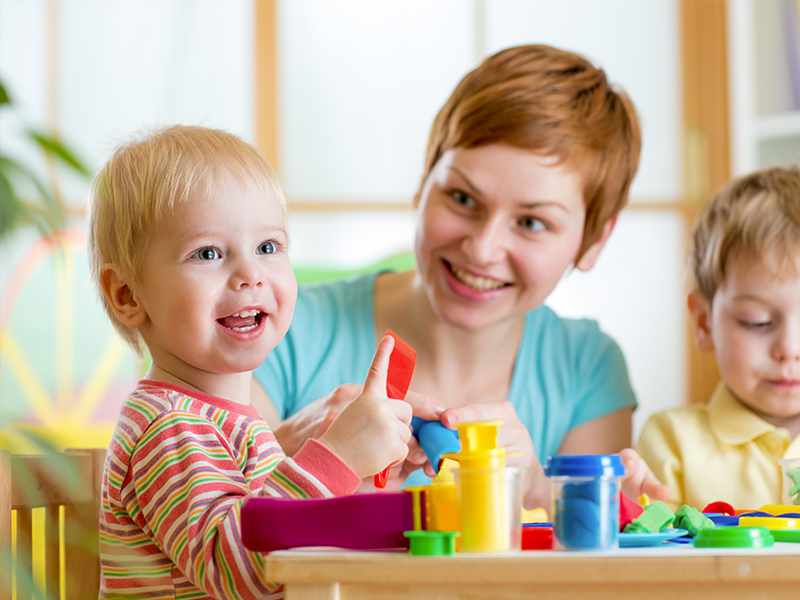 The concept of the English Playschool is based on a varied program and a clearly structured daily routine. Following the motto of “learning by playing”, always provides fun and happiness in the first place. 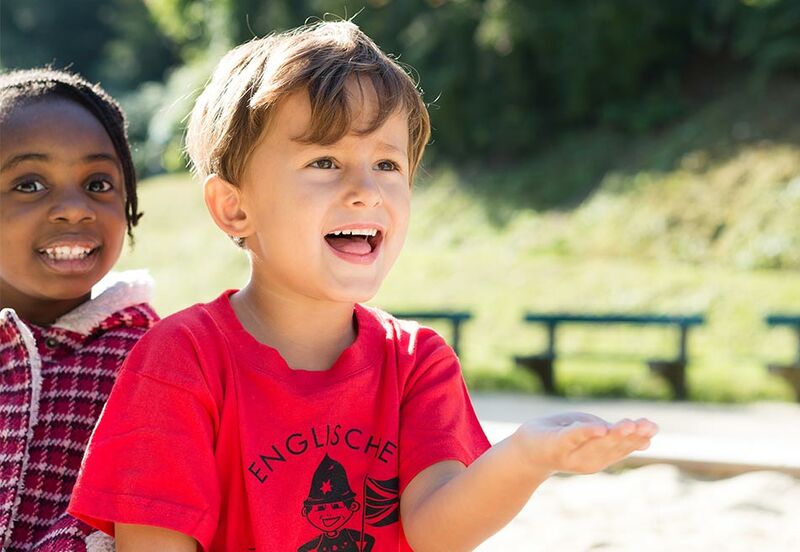 The joy of the English language and learning should be sparked and supported by diverse and interesting educational offers and an appealing and conscientiously prepared environment. Which offers and activities are inextricably linked to the educational concept of the English Playschool? 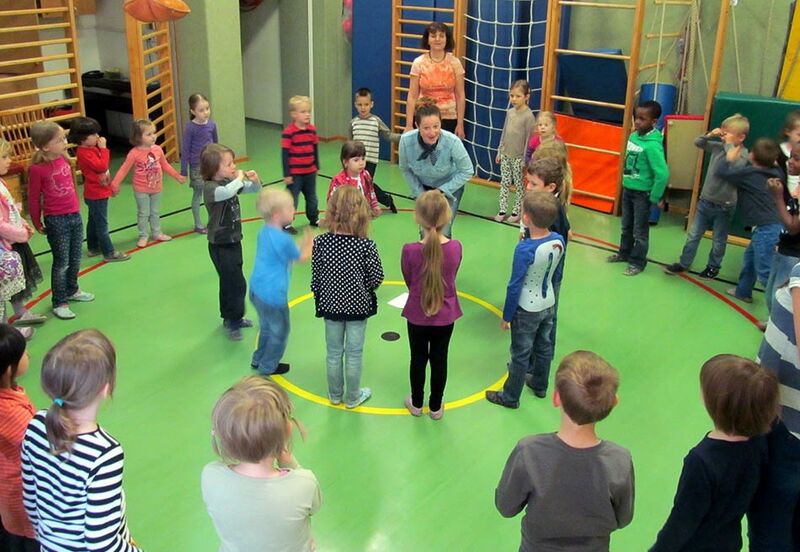 Circle Games and singing are also firmly anchored in the concept of the English Playschool. After that, the lesson takes place. In this part of the concentration phase topics are taught in English with the children. Our goal is to spark the children’s learning joy through the use of different methods and attractive educational materials. Movement plays a major role in the playschool. In our gym lessons body awareness and coordination skills are very important for the children. Going outside for forest days, excursions or playground visits as well as additional offers, such as ski lessons and swimming afternoons are an important part of our concept. Snack time is a daily routine for our children where they have the opportunity to eat their snack together with their friends. In addition, we offer cooking and baking projects, developing awareness of healthy food and a cognitive and motorized approach to the subject of food. 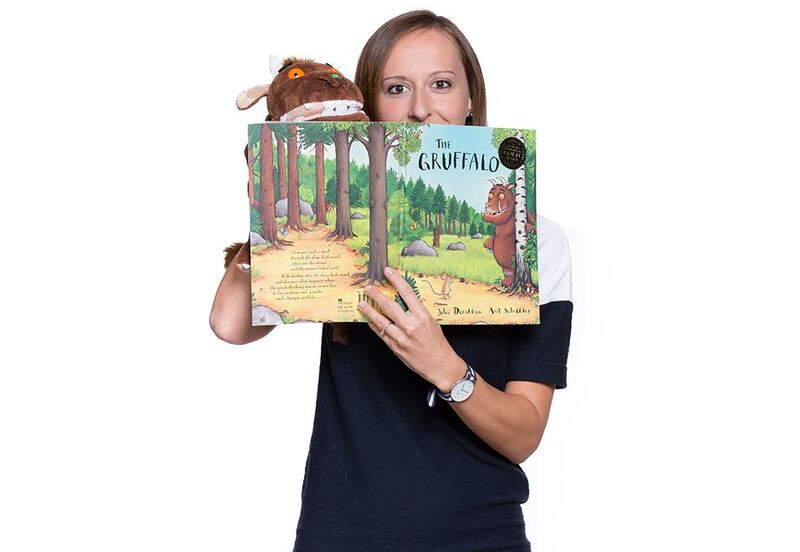 Story time: Ending the morning activities we have story time where the children can immerse themselves in the world of fairy tales.